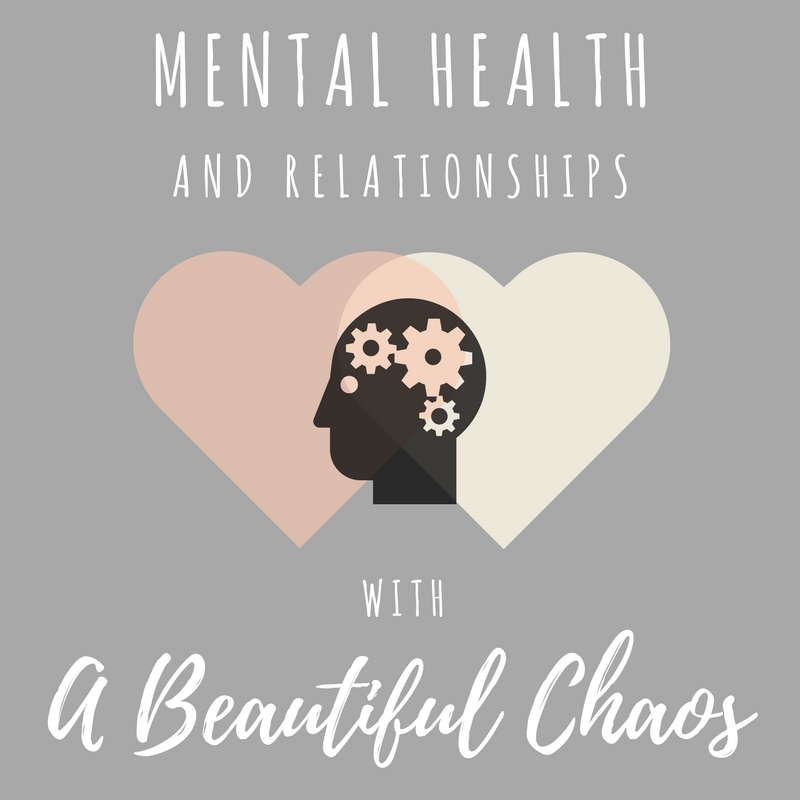 Mental Health + Relationships - with A Beautiful Chaos! Today is the first day of Mental Health Awareness Week, so it's only right that I have one of my absolute favourite mental health bloggers featuring here today. Nicole is amazing - in fact, you might remember me talking about how much I love her in this post. Since then, she's had a gorgeous rebrand, and A Beautiful Chaos is one of the most supportive, educational and inspiring blogs I've ever read. Her posts are so mature, so open and so brave - Nicole is so strong and constantly motivates me to be better, both at blogging and at life in general! One thing I always find amazing about Nicole is how she manages to write such deeply personal posts that are still so accessible and engaging. She's a beautiful writer, and you can't fail to be moved by her story. She also shares such brilliant advice; I often find myself reading her posts and picking up tips on how to deal with life with mental illness. Nicole has recently started a brand new project - a mental health magazine called Beautiful Minds which I am so excited for! Nicole is one of the most supportive people on Twitter, and she is always looking out for people and making sure they are okay. She's a little ray of sunshine on there and seeing her tweets always brightens my day. I'd also highly recommend you check out her Instagram - it gives me so much envy but it's also the most beautiful, cheery explosion of colour - I love it! 1. Introduce yourself! Tell us about your blog, tell us which post you're most proud of, and tell us about your mental health story! Hi, I'm Nicole! I'm 18, currently studying my A Levels in the UK. I'm also an outspoken advocate for mental health and other important stuff, like women's rights and ethical consumerism. I write a blog sharing my experiences, personal stories and advice on a wide range of topics regarding mental health. The main reason why I am so passionate about mental health is because since the age of 7 or 8 I've struggled with anxiety, OCD and more recently EDNOS (eating disorder not otherwise specified), depression, emetophobia, panic attacks and health anxiety. I fight for inclusivity, better understanding and awareness of mental health issues. I also volunteer with Student Minds and OCD Youth. I am currently also in the process of setting up my own mental health magazine called Beautiful Minds. 2. Have you discussed your MH with your loved ones? If yes, how did you start that conversation, and if not, why not? If I'm honest I've never discussed my mental health with my parents. I had quite an uncertain and rocky childhood full of illness and trauma. It's safe to say I wasn't the most pressing issue we had going on. Now looking back on my childhood I realise why I was such an anxious child and why more recently my mental health took a turn for the worst. It wasn't till after my formal diagnosis in June 2016 that I started to find it easier to talk to my parents about what I was feeling. It was a long process before feeling comfortable enough and getting them to understand what I was going through. It wasn't easy at all but we got there eventually. The rest of my family still don't know about my mental health struggles. 3. How have those closest to you reacted? Any particularly positive or negative feedback? At first, it was really hard for my parents to understand my OCD. They thought it would be easier if they just took the soap away. Of course, when you're trapped in the cycle of OCD, it's like an addiction, you'll do whatever you can to get hold of the thing you don't think you can live your life without. Which of course I did which just lead to arguments and disagreements. Over time they've become a lot more accepting and understanding of my OCD and mental health problems. They now know how to support me and not to draw attention to me when I'm performing a compulsion. 4. How has your mental health affected your relationships (whether with a partner, friends, family)? OCD and health anxiety has had a massive effect on any romantic relationships in my life. My OCD centres around germs, contamination and disease. My health anxiety makes me think that I'm always going to get the worst possible conditions and illnesses. Combined, any kind of intimate, sexual contact is strictly a no go zone. Which is kind of embarrassing when you're 18. I have a massive fear I'll get HIV, an STI, I'll end up pregnant or I'll end up catching a common illness from the other person. At the age of 18, society says I should have lost my virginity two years ago or at least had my first kiss. Yet at the age of 18, I still can't touch door handles. Even in my own home. Thankfully, my mental health issues have not had as big an effect, if any, on my friendships. 5. In the reverse, how have your relationships affected your mental health? I'm part of a massive online community of bloggers and mental health bloggers. Most of which are kind, caring and incredibly supportive. They mean the world to me and have had such a positive impact on my mental health. When I have a bad day or need advice I know I can always turn to Twitter and get what I need. I've been lucky enough to meet some of these people in person, my goal for the future is to continue to meet as many people as possible. Without their support and love, I don't know where I would be today. 6. Is your mental health something you actively talk about with your loved ones, or do you prefer not to discuss it? Are there any pros or cons to your approach? I'm a lot better now at talking openly about mental health with my parents than I was. Although it's not always easy it can really help. I notice that I tend to feel better about myself when I admit that I was feeling anxious or had a panic attack instead of suppressing it. I've also been very open with my friends offline about my mental health. This is really beneficial because I know that if I have a bad day in college they will understand and support me, which is always nice to know. 7. Is there anything you wish you could tell those closest to you or wish that they understood? What is stopping you from telling them? I sometimes wish I could have been more open about my struggles when I was a lot younger, especially with my eating. EDNOS can completely control you and almost have you sworn to secrecy. I think if I knew what I was going through when I was younger, I would have got the help I needed sooner and things wouldn't have escalated like they have. Now I wish I could be more open and honest. Instead of saying 'I'm fine', actually telling people how my day was and not being afraid to answer their questions. It's a continuous battle though. 8. What advice would you give to people who want to tell their loved ones about their mental health? Do it when you're ready. Honestly, if you don't think you are ready emotionally to talk about it, it's okay to take your time and relax. Heads up! You also don't have to tell everyone if you don't want to. If you know that your dad isn't very understanding of mental health problems but your auntie is, tell her. It's really important to have that one person who you know can support you through the difficult times. No mental health problem has ever been solved by not talking about it. In fact it will only get worse. 9. 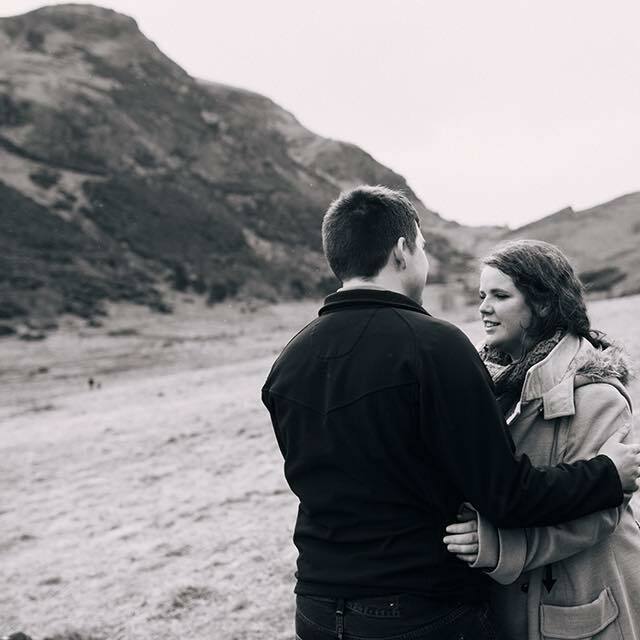 What advice would you give non-sufferers who want to support their loved one with their MH? Just listen. You don't have to be a professional to give advice or listen. They may not even want your advice. Having someone they can trust who is nonjudgemental will mean the world to them, honestly. Taking 10 minutes out of your day to offer support, a shoulder to cry on and a warm fuzzy hug is what they will really appreciate. 10. Are there any support systems (other than loved ones) you use that you'd recommend for those who may need them? The online blogging and mental health community are amazing. I may be a little biased. There is always someone to support, advise and encourage you whatever the situation may be. We listen and we care because we know what it's like. We've been through it ourselves. #TalkMH and #PosiMH are great places to start. I also recommend the Samaritans. You do not have to be suicidal to get in contact. Both times I've used the service I've just been confused and need somewhere to off-load my problems. You can ring them on 116 123 - they are available 24 hours a day, 7 days a week, 365 days a year, or you can email them at jo@samaritans.org - they will reply within 12 hours. I honestly can't recommend the service enough. As I've said before, the mental health blogging community has been an absolute godsend in my life, and one of the people who has really impacted me is Nicole. There are a lot of misconceptions about mental illnesses, but OCD has to be up there as one of the conditions that so many people have no clue about. Just think of how many times you've heard OCD used as a throwaway term - "I'm so OCD about how I store my shoes" or "I'm a neat freak, I have OCD about keeping my kitchen clean". These kinds of descriptions of behaviours that have nothing to do with OCD make light of what can be a really debilitating and damaging disorder. Nicole has always been so brave and honest about how OCD affects her, and it is really eye-opening. Education is crucial - we need to make people aware of how trivialising it is to compare eating your Skittles in colour order (yes, I've genuinely heard this described as 'being OCD') to compulsions and obsessions that can really affect someone's quality of life. Nicole also made a great point - how education needs to begin at a much earlier age. I've definitely spoken about this before, but it is totally incomprehensible to me that we know that many people will start exhibiting signs of mental illness at adolescence, but we don't actually teach them about what to look out for, or what to do if they think there's a problem with themselves or a friend. For example, I am sure that there will be a few of you who have never heard of EDNOS. How can you know you have a problem if you've never heard of it? I only discovered that Borderline Personality Disorder was a real condition by chance, in a third-year university lecture. If I'd not recognised those signs in myself from that lecture, I wonder whether I would've kept them to myself, too ashamed to ask for help as I believed I was just a horrible person? I'm so glad that Nicole is now getting help and is supported by her family more, but it is still clear that the general public needs more education on mental health - both in order to help ourselves and help those we love. As always, a massive thank you to Nicole for such a thought-provoking and honest reflection of how mental illness impacts her. I am really grateful that she agreed to take part, as she is a truly wonderful blogger and is such a strong voice for mental health advocacy - she's a massive inspiration of mine! To check out the other interviews in this collab series, click here! If you'd like to be involved in this project, feel free to email me, chat to me on Twitter or leave a comment below. I ♥ Unicorn Born Jewellery! A Little Sleek & NYX Haul.